We recently completed moving this extraordinary, multi-award-winning structure from the Expo site in Milan, to The Royal Botanical Gardens at Kew. 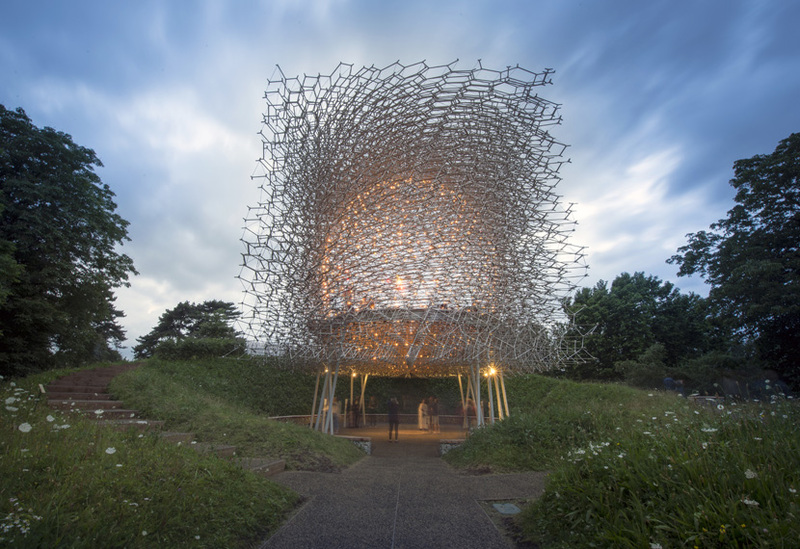 The move involved a systematic de-rig, site specific modifications and additions to the structure, along with ground reinforcement and all groundworks. 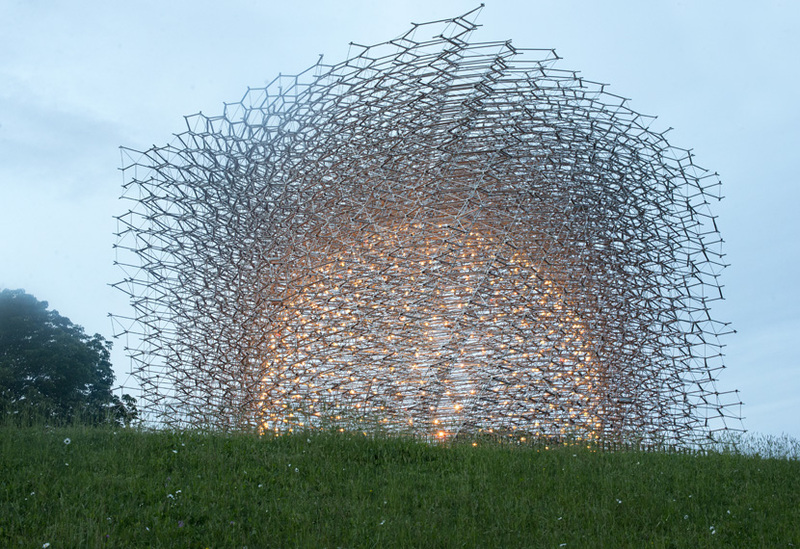 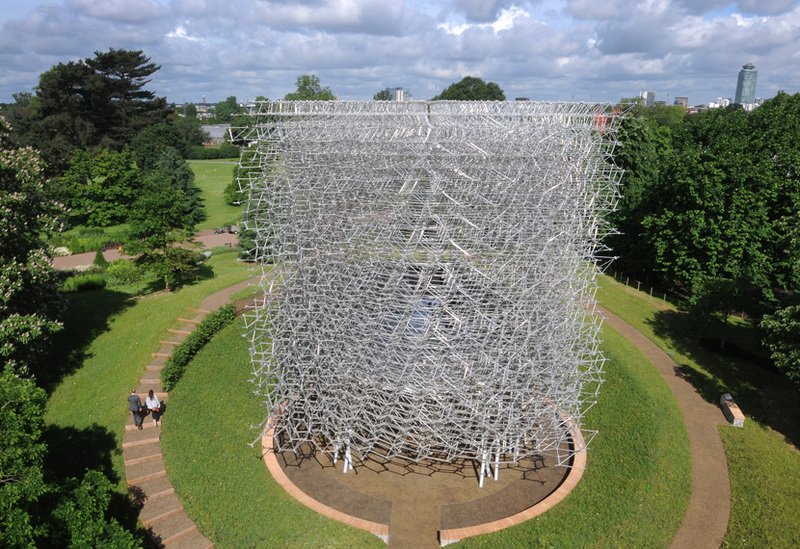 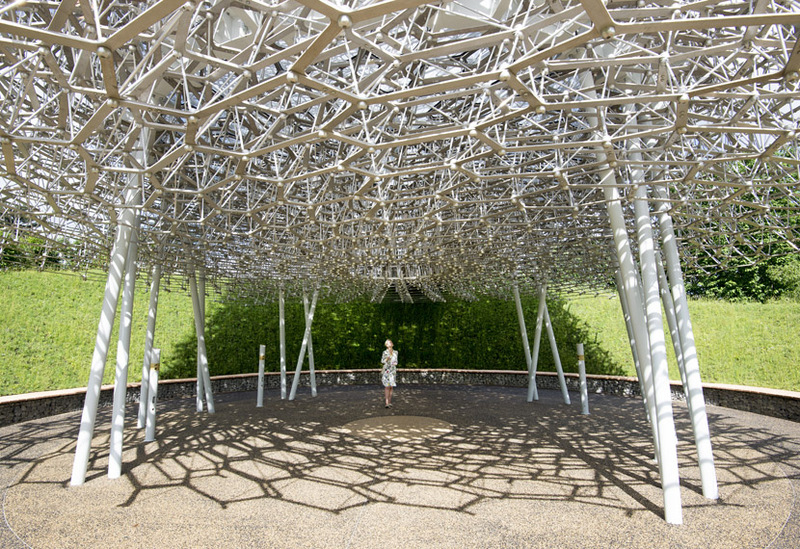 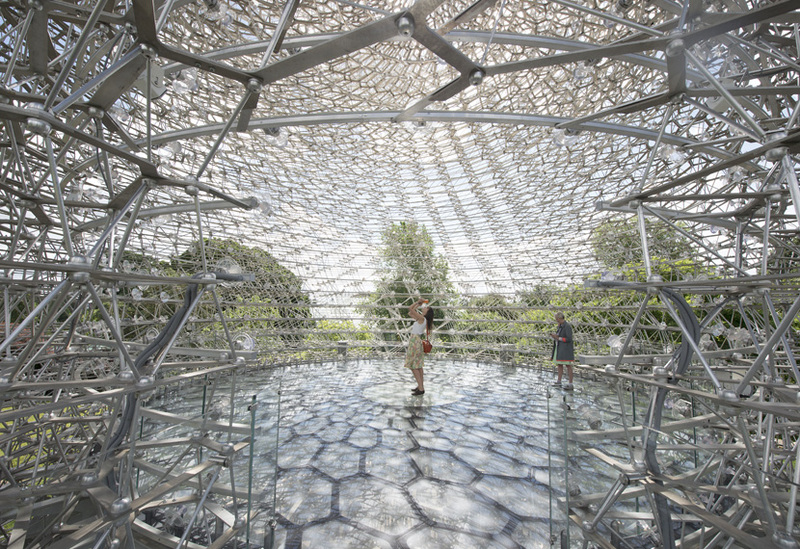 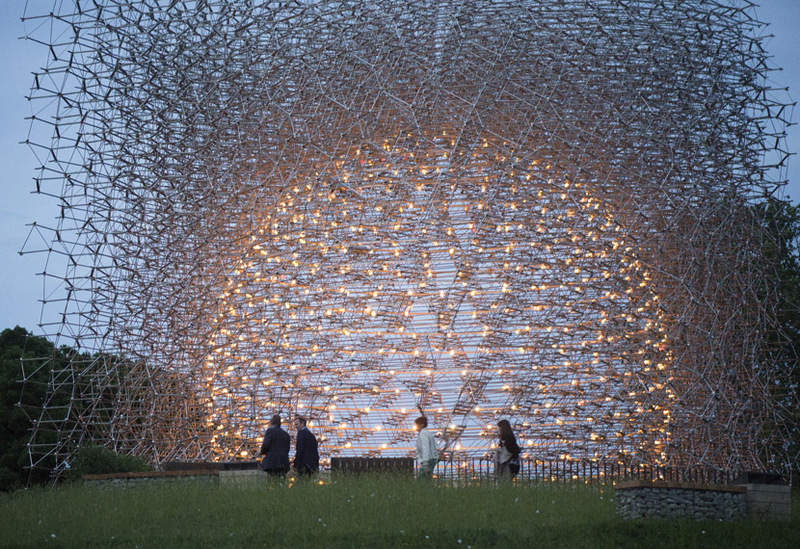 Designed by Wolfgang Buttress, the Hive brings together science and art to explore our dependence on pollinators such as bees and its new home provides an ideal naturalistic and bee-friendly setting. 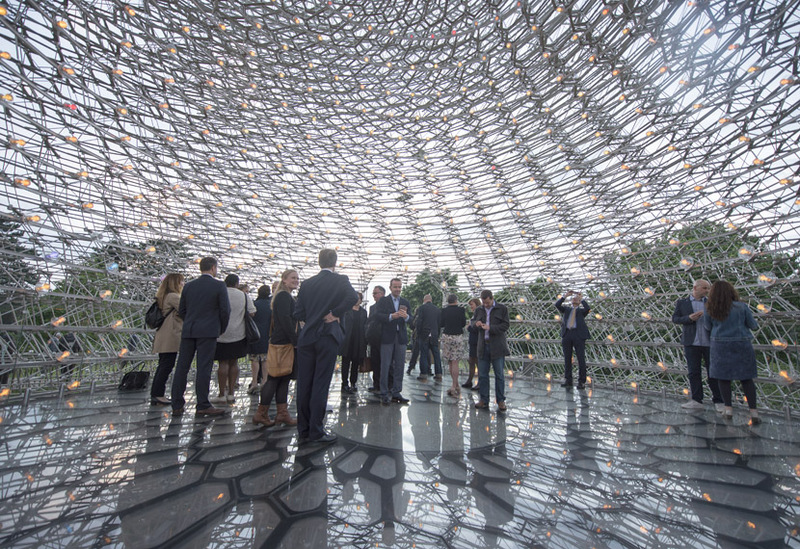 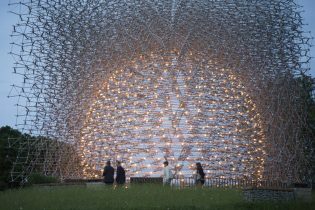 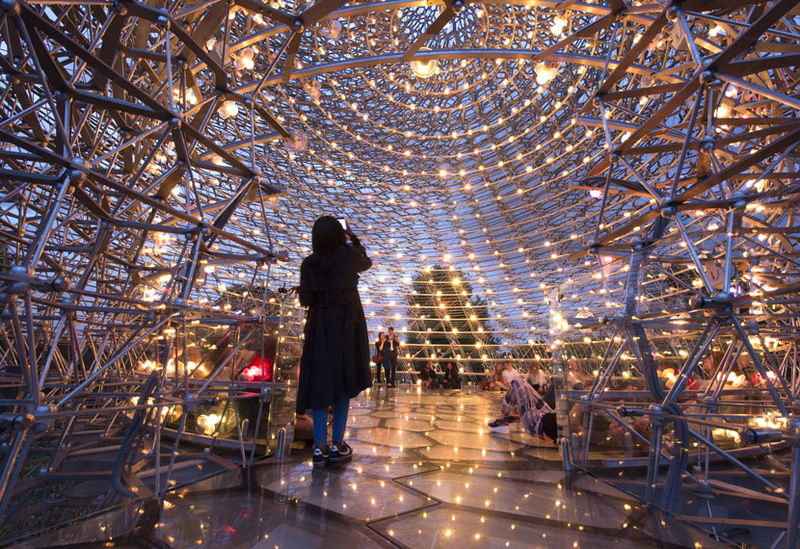 It offers an immersive experience, the light and sound display within the central void being triggered directly by bee activity in a real beehive at Kew. 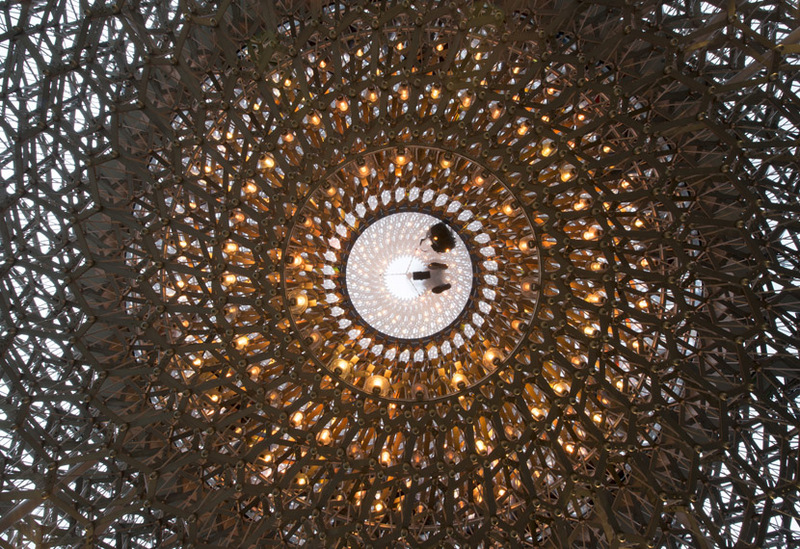 The Hive itself rises up over 32 layers in a swirling spiral of hexagonal cells created by many thousands of chords, rods and nodes. 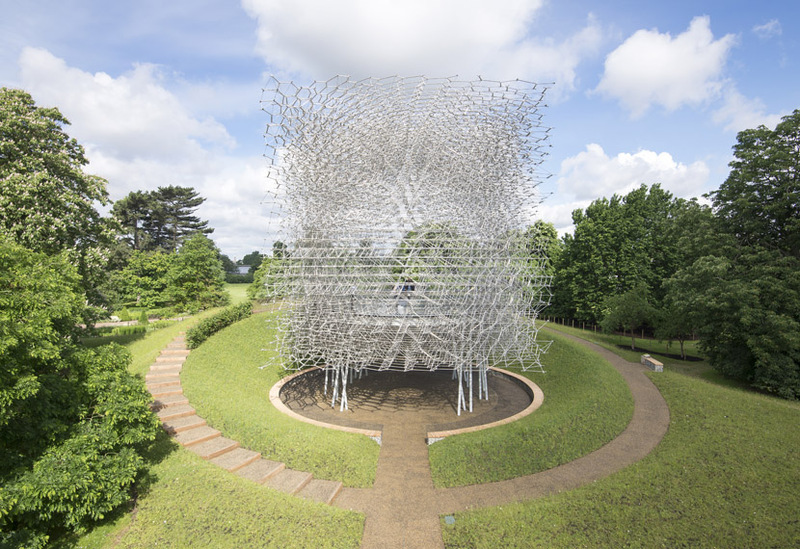 Each of the 169,300 components was manufactured in our workshops and inscribed with a unique number indicating its precise location within the structure. 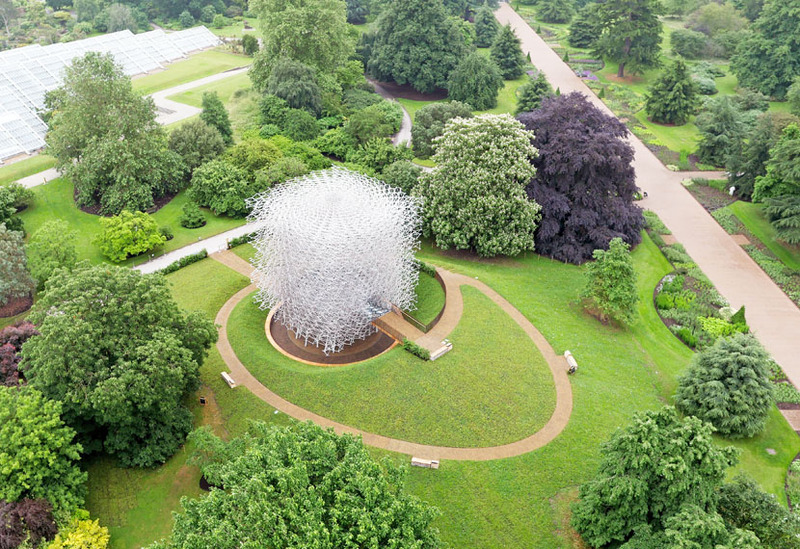 The site at Kew provides a wild flower meadow and partial amphitheatre, into which the Hive is recessed.